In fact, this is just the classic recipe for French toast coated with cinnamon and brown sugar. 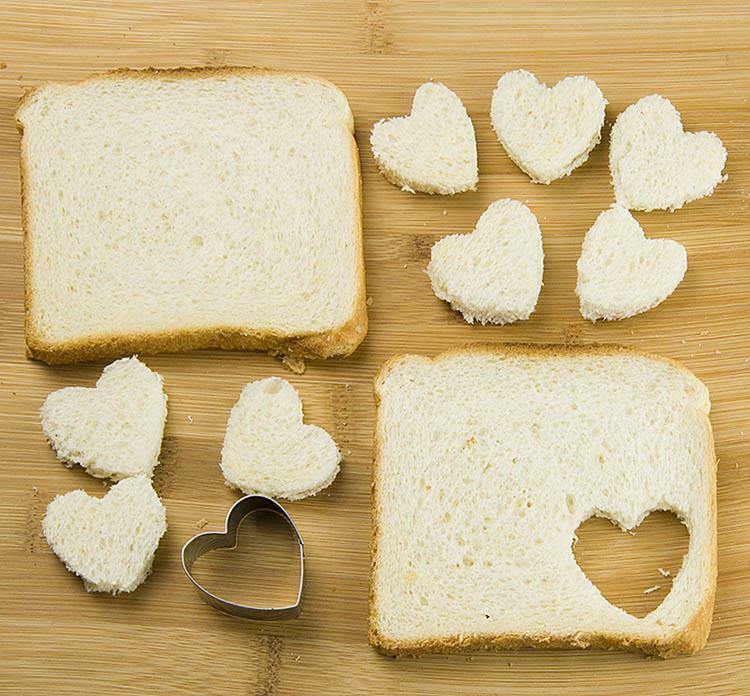 The only difference is that bread is cut into heart shapes with cookie cutter. 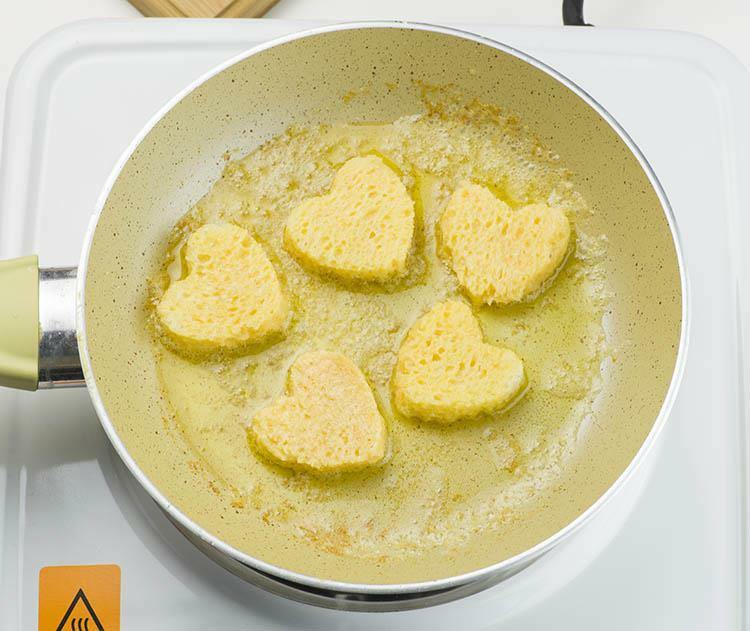 These hearts are way more fun to cook or eat. You probably all know how to make homemade French Toast. It’s the best if you use day old bread. It will soak just the right amount of egg and milk mixture. You can add a splash of vanilla just to make it more flavorful. For Valentine’s Day you need to add a little love in the most important meal of the day. Workday morning can be busy, but don’t worry. With this easy recipe, your breakfast will be ready in just a few minutes. If you have to make the breakfast for large family you can make ahead the hearts. Using a small cookie cutter, cut out the hearts the night before. That way you will have just 10 minutes of work in the morning. Dip the bread in milk and eggs mixture and cook on melted butter. Toss baked French toast in cinnamon and brown sugar and your Valentine’s day breakfast is ready! 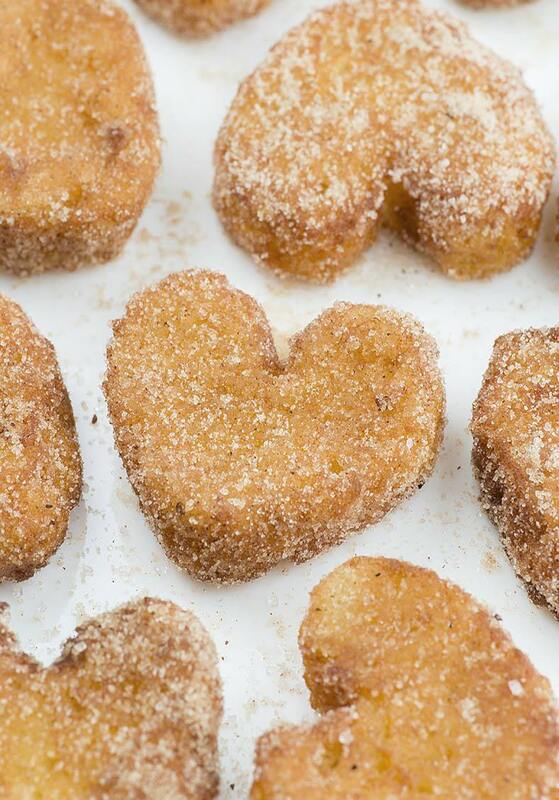 Without doubt, these French Toast Churro Bites in heart shapes is really cute idea to show someone you care. Your kids will go to school happy, knowing how much you love them. If you want to make your sweetheart say “awww”, serve him this heartwarming breakfast in bed. Finally, if you do not time left for yourselves to eat, you can pack this bite size French Toast and eat them on the go. 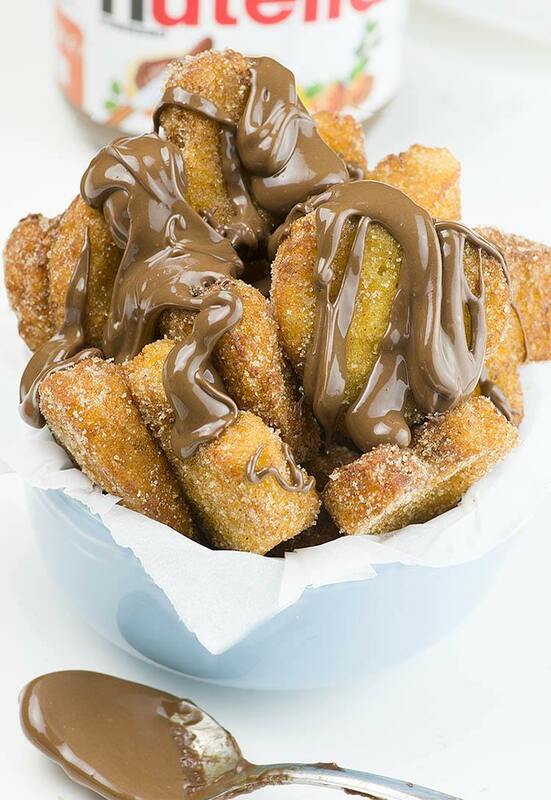 French Toast Churro Bites in heart shapes is cute idea if you need quick and EASY BREAKFAST Recipe. Using a small heart shaped cookie cutter to cut out the hearts. Stale bread is recommended because it will soak up more egg mixture without falling apart. If the bread is not stale the hearts will lose their shape. Beat the egg with milk, vanilla and salt, set aside. Combine cinnamon and brown sugar and set aside. In a pan over medium-high heat melt the butter, reduce the heat to medium-low. 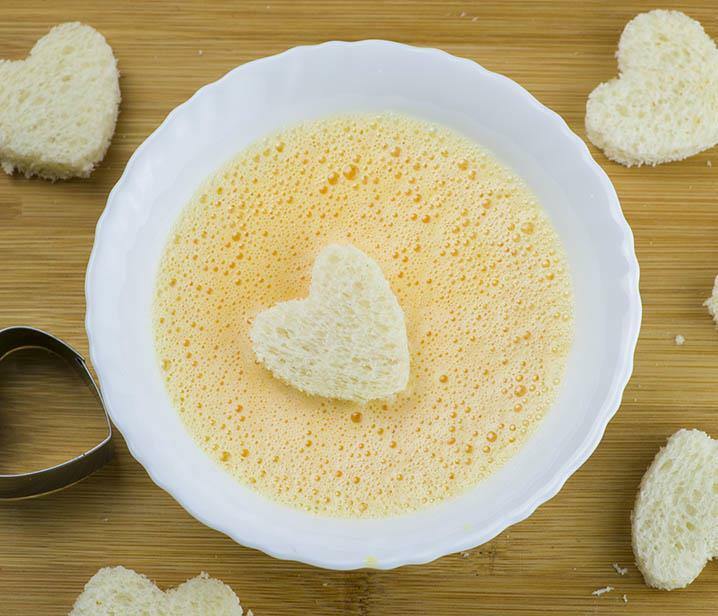 Dip each heart in egg mixture to coat both sides, but don’t let it soak too much liquid or they will lose their shape and shake off excess egg mixture. 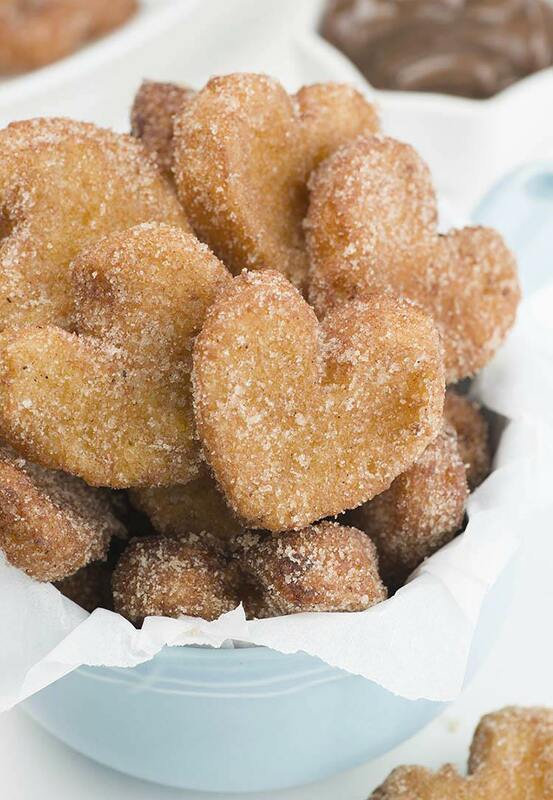 Transfer the hearts in cinnamon-brown sugar mixture to coat well and end serve immediately. NOTES: this is recipe per one serving. You need to fix your boarder on the left. It is over lapping your actual blog, making it difficult to read. I think using red decorative sugar would be super cute. Much easier t o make than I thought!! Like the breakfast idea. And how the reciepe is easy!